The short call option strategy is primarily a bearish to neutral options trading strategy that capitalizes on premium decay, downward moves in volatility, and downward moves in the underlying asset. However, it is not only a bearish/neutral strategy. Selling calls also works with slight positive movement in the underlying asset. 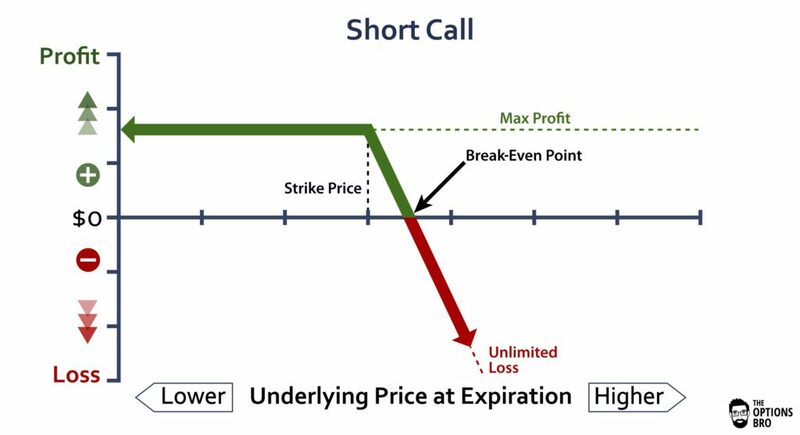 Due to the highly risky nature of short call, most options brokers require special approval to trade this strategy because of the theoretical unlimited, or undefined, potential loss. Out of every online broker with 24/7 customer service in 2018, Ally Invest the has the lowest commissions to trade the short call option strategy as well as the best free options trading software. Read the Ally Invest Review. Note: like most options strategies, you can sell calls in-the-money (ITM), at-the-money (ATM), or out-of-the-money (OTM). Unlike short puts, selling short calls can never be covered unless the seller owns the appropriate amount of the underlying asset; if the underlying asset is owned, the strategy is called a covered call. If a trader sells a put, there is always a defined loss for the trade. The maximum loss for a naked short call is theoretically unlimited, so short calls are, by definition, naked (uncovered) options positions. Breakeven point for a short call = premium received (plus) strike price of short call. 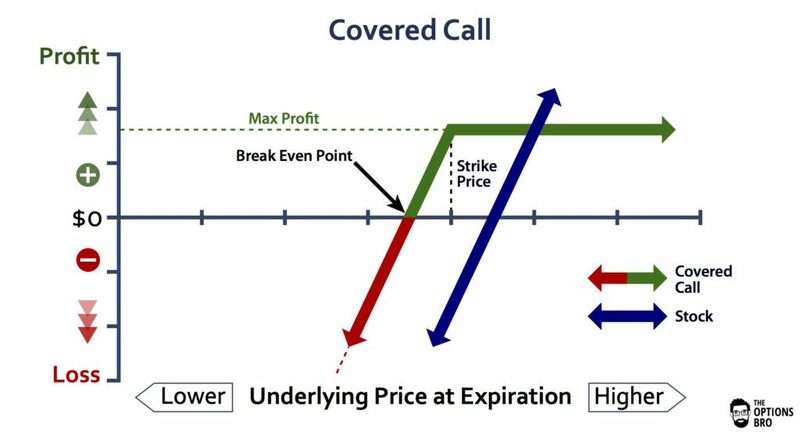 In the example above, the breakeven point at expiration for selling 1 call in stock XYZ would be $52.30. In other words, stock XYZ can climb to $52.30 per share at expiration before this trade loses money. Because this is the break-even point at expiration, XYZ can trade at $52.30 prior to expiration and the short $52 call will likely not be at a break-even; it will likely be at a loss because of time premium built into the $52 call. This is an interesting question. A lot of traders will go their entire trading careers without ever selling a call because of the stigmatized risk. Nevertheless, there are plenty of options traders who look to exclusively sell premium, and short calls are often their go-to strategy. Why? This is primarily because, for the most part, there is a smaller upside fear with the short call option strategy than there is with selling puts. When selling naked or covered puts, there is always the risk that the underlying asset will crash and go to zero. If this were to occur, it would be truly devastating for a short put position. The upside tail-risk for 99% of optionable assets is simply not the same as the downside tail-risk. The possibility, however slim it may be, that an asset can crash down, is usually always priced into puts, and this is why puts tend to trade richer than calls. Basically, when you sell calls, you mitigate the risk of a widespread market crash wiping out the underlying asset. The only exception to this upside vs. downside risk theory is with commodities and individual stocks. Selling calls on commodities, i.e. trading futures options, carries a different set of probabilities than stock indices, for example. Upon a rare occasion, particular commodities like corn, soybeans, wheat, etc. have truly crashed up by 20% due to unforecastable events like weather changes and droughts. These natural events can cause an extreme supply shortage and send the prices of commodities skyrocketing. If a trader had a 10 lot of short calls on wheat futures, for example, it would be a true nightmare if wheat opened up the following day by 25%. This is where call premium sellers run into trouble. Moreover, with individual stocks, especially high-beta stocks, it’s entirely conceivable for a stock to gap up 40% on news of an analyst upgrade, buyout offer, increased dividend, etc. Because of this possibility, a lot of traders look to sell calls on optionable indices like the SPX, NDX, RUT, and SPY. The chances of a massive index like the S&P 500 trading up 25% overnight is extremely unlikely, so this sort of eliminates the upside tail-risk with short calls, although not entirely. The amount of buying power required to employ the short call option strategy depends on exchange rules, your broker’s requirements, and your account approval level. As a general rule for a typical margin account, 20% of the underlying asset is required for each uncovered call. Of course, margin requirements for short calls also depend on the underlying asset itself. Very volatile stocks can have higher requirements. Short call options on futures work under SPAN margin in the US, and this is typically equivalent to portfolio margin for individual stocks. The best way to determine the margin impact for selling calls is to preview the order before transmitting it on a live account. Theta decay is very favorable for short calls that are OTM or ATM. It depends on how many days there are until expiration, but time premium has to be priced out of the calls. In fact, collecting this premium is what drives most traders to sell calls in the first place. As expiration approaches, theta will have to decay; it’s a certainty. Other components of an option’s price, however, can inflate prices, like volatility. When should I close Out a Short Call? Once the short call reaches its max profit, or gets very close, it’s always wise to close out the position, because the risk/reward ratio simply becomes unfavorable. Deciding when to pull the plug on a short call that’s gone awry is one of the most difficult parts of the entire short call option trading strategy. Once a short call gets deep enough in-the-money, theta will have less and less of an effect on the price of the call. 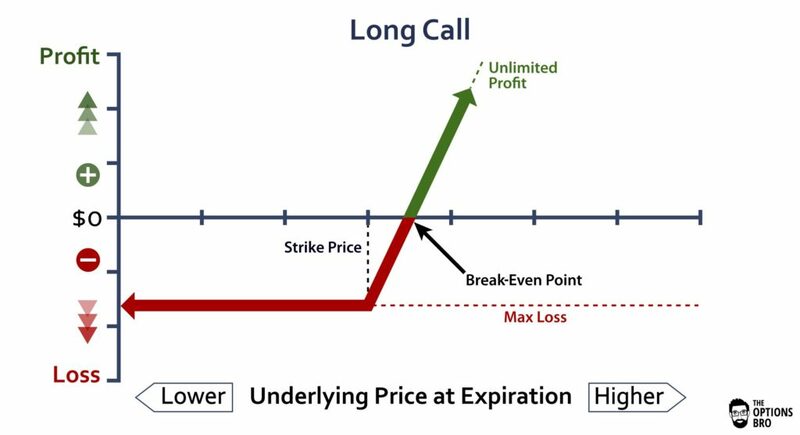 You can continue to “roll” the unprofitable position to a later expiration series, but a deep ITM short call is equivalent to shorting the underlying, except with additional leverage. If the underlying asset doesn’t decline, neither will the value of the short ITM call. Short calls on US stocks that are ITM can technically be exercised at anytime prior to expiration by the option buyer. Although this is highly unlikely, it is possible and has definitely happened to options traders who write for The Options Bro. If you don’t have enough money to purchase the appropriate number of shares, your options broker will likely ask you to close out the position or issue a margin call. Similarly, for writing calls on individual stocks, if there is not enough stock available to borrow, or there is a hard-to-borrow fee, this can create a predicament as well. Regardless, everything can be avoided my properly monitoring expiring positions. Expiration details for options on stock indices and futures vary, but as a premium seller it behooves you to stay on top of all ITM short options positions that are approaching expiration. Selling calls can be a great way to capture option premium. With short calls that are OTM, money can be made if the stock moves up slightly, does nothing, or declines dramatically. Despite the fact that there are technically three ways to make money with short calls, it’s important to remember that selling calls is still a bearish options trading strategy at heart. Sharp increases in volatility and the price of the underlying asset can wreak havoc on a short call position. Having said that, sharp decreases in volatility and decreases in the price of the underlying asset, in addition to theta decay, can make selling calls very profitable. This is because volatility (as discussed in the beginner’s guide to options) is a major component in an option’s price. Selling calls should by no means be a trader’s sole strategy, but it’s unequivocally an incredibly powerful strategy to be familiar with because it’s one of the only ways to sell option premium without a huge financial crisis, market-crash-type of risk. Start investing at Ally Invest and get up to a $3,500 cash bonus + commission free trades for new accounts.